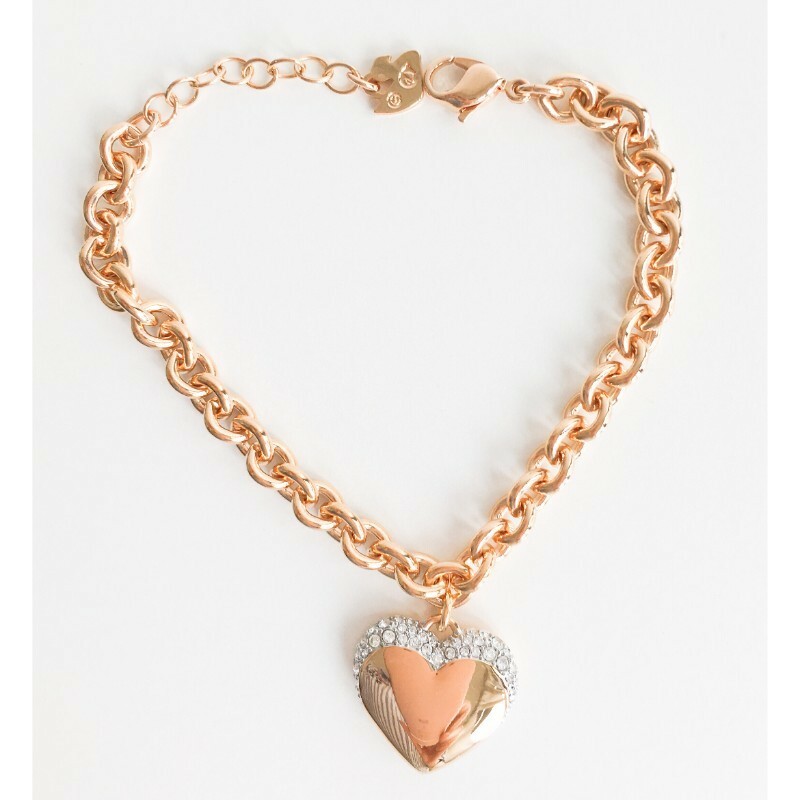 This versatile and feminine design features a heart motif. 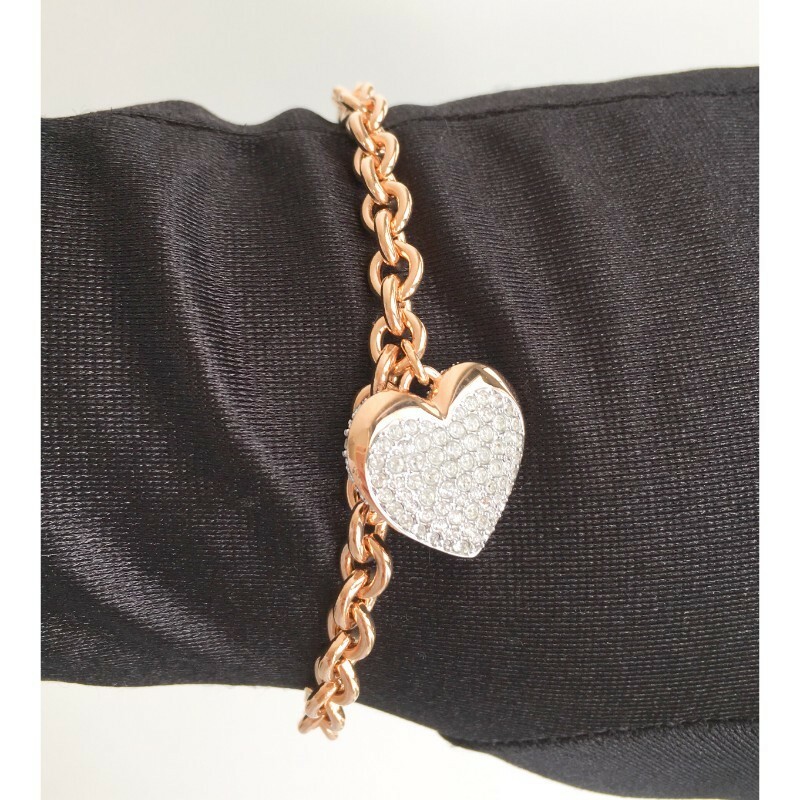 With one side in sparkling clear crystal pavé and the other side in shiny rose gold-plated metal, the wearer can choose which style to showcase. 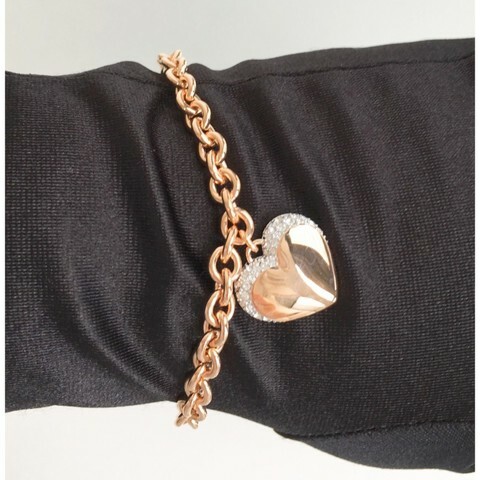 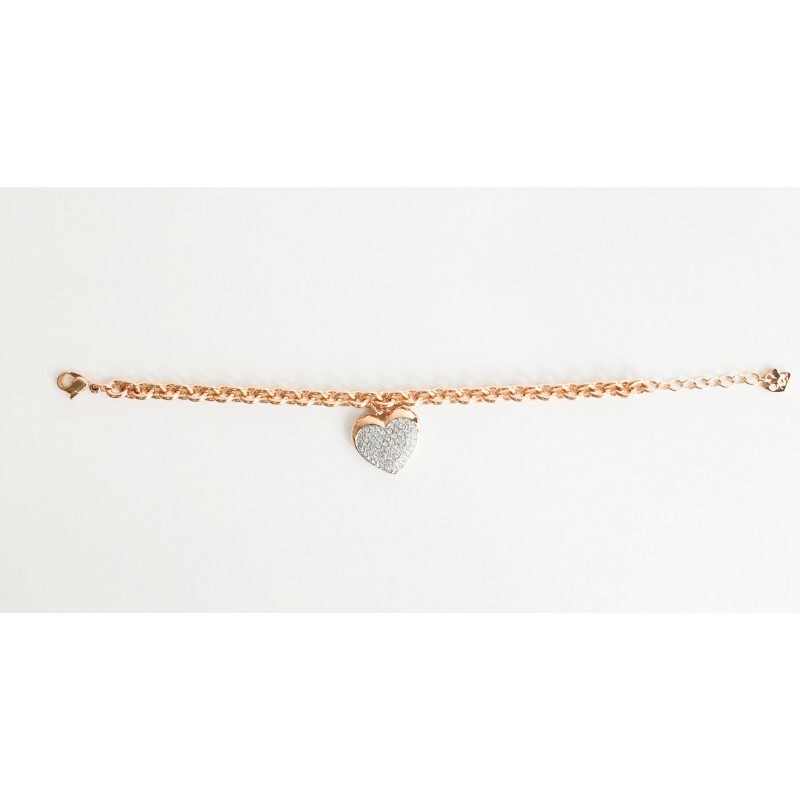 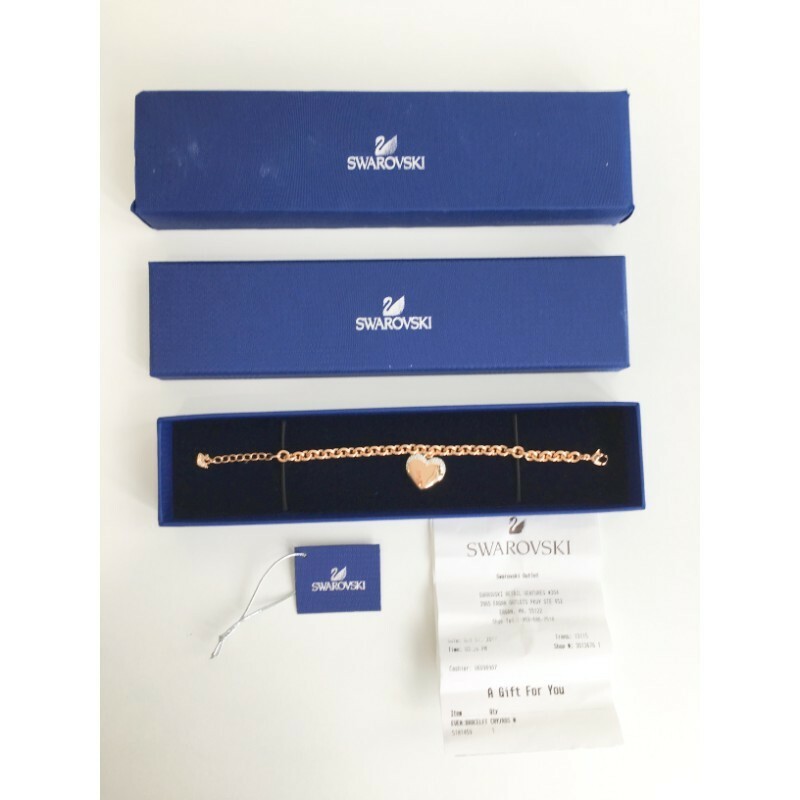 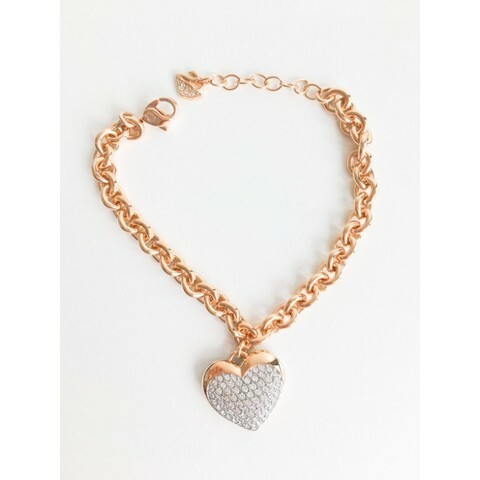 The bracelet measures 16 cm and comes with a delicate chain extender, allowing you to find a perfect fit. 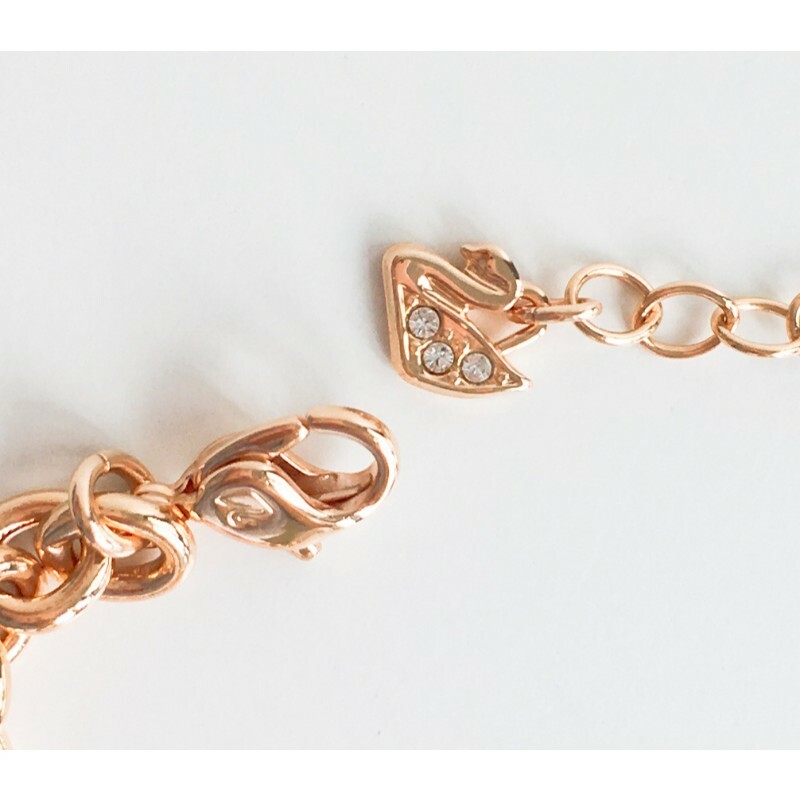 Team it with the matching pendant, pierced earrings, or rings for maximum effect. Length around 6 1/4 inches and it has International warranty.